When one of Kimberly Ratliff’s ROTC officers suggested that she apply to Project Go, she never imagined spending this past summer studying abroad in the Middle East. “I needed 12 foreign language hours to graduate with my scholarship, so I decided this would be a way for me to fill that. I didn’t expect to get picked,” said the political science major. Project Global Officer (Project GO) is a collaborative initiative that promotes critical language education, study abroad, and intercultural dialogue opportunities for Reserve Officer Training Corps students. Project GO programs focus on the languages and countries of the Middle East, Asia, Central Asia, Africa, and South America. In February, Ratliff learned she was one of 20 participants selected from 500 total applicants. She was also the only senior and HBCU student chosen. “A lot of people (the group of students) had never heard of Jackson State, so I had to educate them on HBCUs. I was little intimidated at first, but I was able to hold my own,” said Ratliff, whose peers were from universities such as Brown and Harvard. Many may think that spending nine weeks in a foreign country would provoke a bit of a culture shock, especially when surrounded by people speaking a new language. But Ratliff said she embraced the trip with excitement and an eagerness to learn. The group initially flew to Marquette, Milwaukee for a one-week crash course about the trip before heading to Chicago then Switzerland. From Switzerland, the group traveled to their final destination in Oman, Nizwa next to Saudi Arabia. In total, the trek took 16 hours of airtime. “It was the longest flight I’ve ever been on,” said Ratliff. Sweltering temperatures well over 100 degrees greeted the group as they exited the airport. “Most days it would get up to 110 (degrees), but everything is mostly shaded, so it isn’t that bad,” explained the Air Force ROTC cadet. Ratliff said she was amazed by the country, and she didn’t encounter any of the things she was warned about. She described the landscape as “very mountainous, dry and rocky” but beautiful. 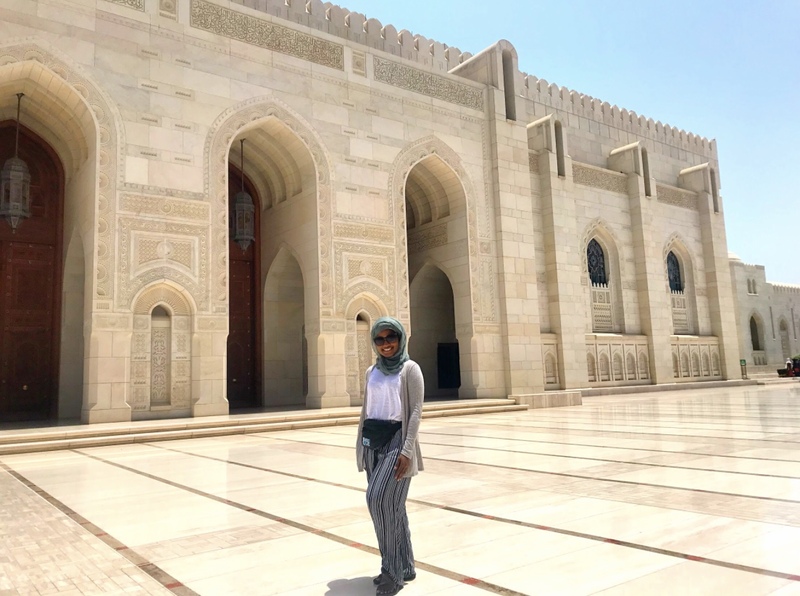 While there, the students experienced the holy holiday of Ramadan (a month of fasting to commemorate the first revelation of the Quran to Muhammad), and Ratliff shared why it was one of her favorite aspects of the trip. When it came to the food, Ratliff said the chaperones advised them to take medicine because the spicy cuisine may upset their stomachs. But she made it clear that she did not taste one dish that she did not like. 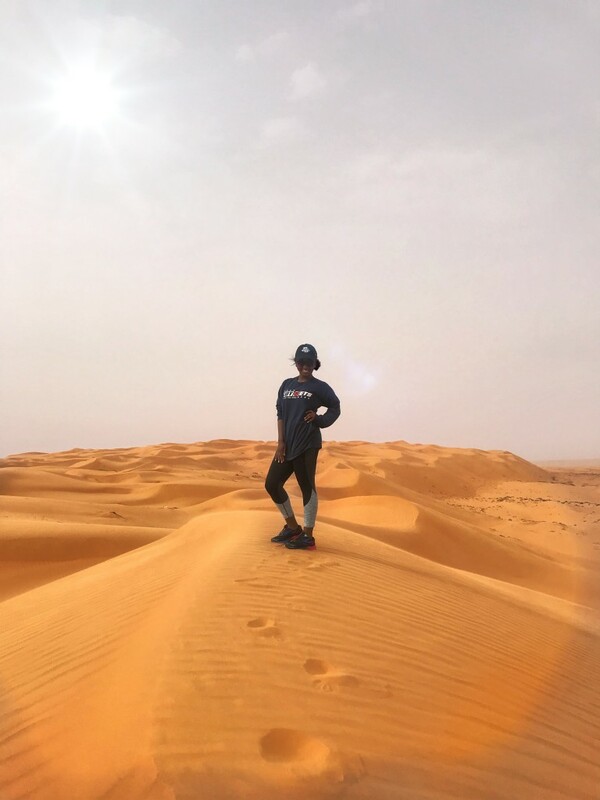 Aside from the scenery and the food, the JSU student also said how much she loved the native language, which is a formal form of Arabic. Ratliff shared that it was “extremely hard” to grasp and completely different from English. “We read left to right. They read (from) right to left. Nothing is the same over there,” she explained. The group practiced Arabic up to eight hours a day – Sunday through Thursday (an Oman weekday). The students would also have different learning sessions with instructors and dialect coaches. “Some days we’d have culture classes just to try to learn about the culture. We’d then have another hour to get with our language partners and talk one on one with other college students from that country just to work on our conversation skills,” she said. Adjusting to the 13-hour time difference was also slightly difficult for the Jackson native, who said she would call home to talk to her mom and friends but they would be asleep. The bathrooms were also a new experience, which Ratliff described as closets with a hole in the ground. But she was also surprised to see some reminders of home. 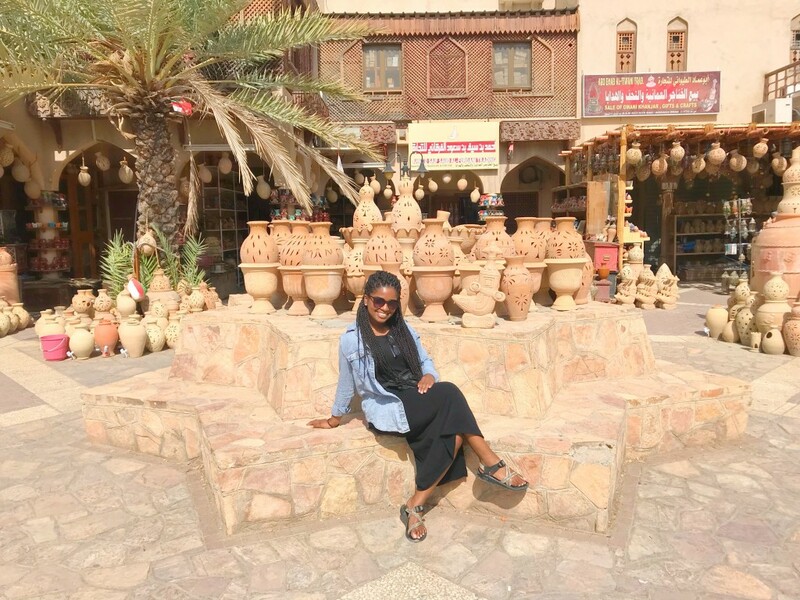 After spending nine weeks in the Middle East, Ratliff explained that she was most touched by the people and called them some of the friendliest people she’d ever met. It appeared that Ratliff had an amazing time studying abroad. From trying new foods to meeting new friends, and learning a new language was an experience she said she will never forget. 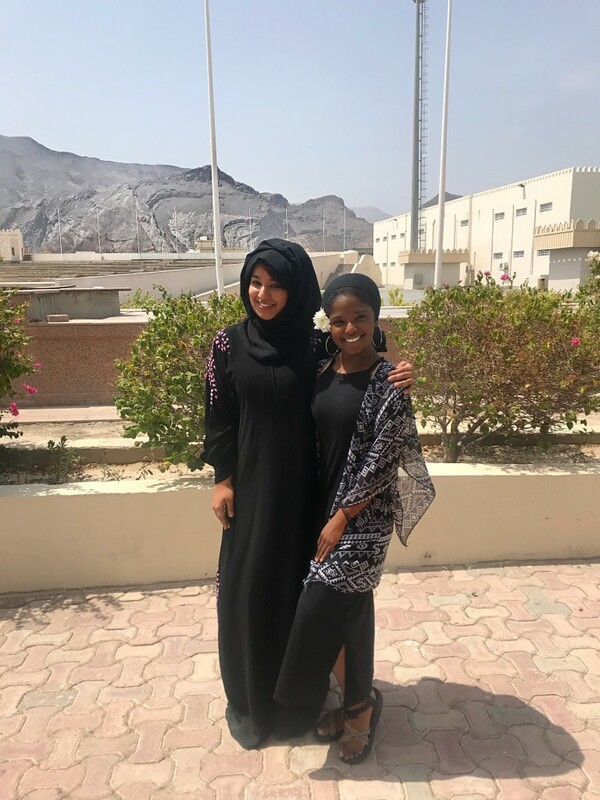 After graduation in May 2019, Ratliff said she plans to work in military intelligence, and with her growing knowledge of the Arabic language, she hopes to be stationed in the Middle East.